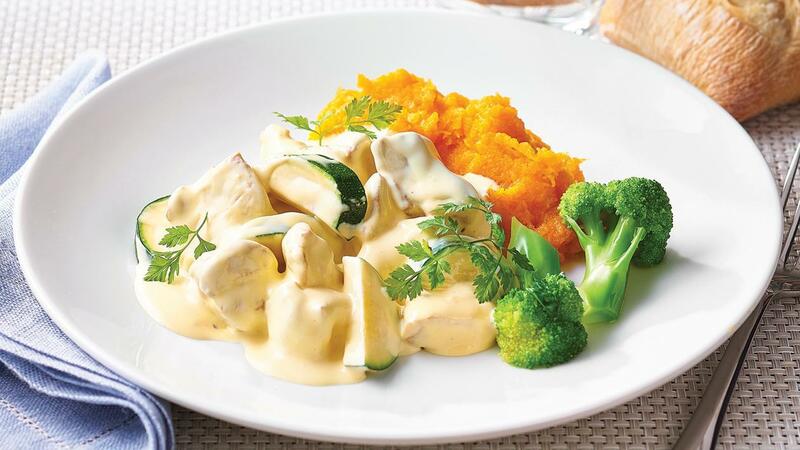 The lemon and hollandaise work perfectly together giving you a nice creamy tang, perfect with chicken. Seal chicken in a large pan with a little oil. Cook until brown. Combine the KNORR Hollandaise and KNORR Lemon Sauce GF and zucchini together. Place the chicken with sauce and zucchini in a deep tray. Cook in the oven at 180 degrees Celsius for 20 minutes or until chicken is cooked through. Serve with mashed pumpkin and sweet potato or steamed broccoli.